Last Spring my niece gave us a dog, a medium-sized mutt named Roxie. She is a great pet but has become especially attached to Brooksyne. She follows her all over the house and tries to anticipate her every move. When Brooksyne goes somewhere she jumps in the vehicle, expecting a ride. The other day as Brooksyne was leaving Roxie jumped in and I had to pull her out of our van. She got mad at me and ran under it unwilling to budge. Brooksyne was unaware and started to back up. I managed to stop her and we coaxed Roxie out to safety. She was completely oblivious to the very clear and present danger. The lack of fear in this case was not a good thing! Fear isn't usually seen as positive or healthy. We hear from our childhood, "Get over your fear." "Stop being afraid!" As Christians we may have memorized a great verse that says in part, "God hath not given us the spirit of fear." But I believe that a healthy, holy fear of God is an essential component in the life of the maturing Christian. And in a culture where the Lord's holy Name is used in vain countless times every day and a common reference to Him is "the man upstairs", we need a good dose of the fear of God. Our heavenly Father judges each man's work impartially. From our limited perspective life sure doesn't seem fair or just. You may at this very time feel you're just not getting your fair shake in life. But God judges impartially. This is a truth we hold by faith. The latter part of the daily verse just may be one of the most ignored truths by contemporary Christians. "Live your lives as strangers here in reverent fear." Read that over a few times and ponder its clear meaning. It really gets matters in perspective doesn't it? May we apply this truth to our life this day amidst all the clamor in the world around us. "Lord, help us to live our lives this day as strangers here in reverent fear." 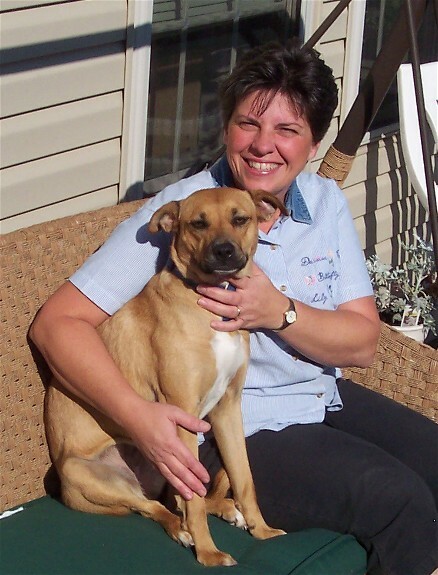 Note from Brooksyne: Have you ever had a dog that is so devoted that she wants to be with you ALL the time? She even tries to predict where I plan to go next. In fact she is so used to me starting one direction, changing my mind, and turning around that she now tries to anticipate my every move (which is hard to do for a woman who is constantly changing her mind or forgot what she was going after.) Roxie will go two steps in front of me after she sees I'm heading downstairs but she knows that I might change my mind. So she constantly looks backward to see if I head back upstairs and then quickly changes her direction. Someday she and I are probably going to go sailing downstairs and then we'll both wonder where we were actually headed! It sure is a good thing I really like this devoted dog!! "The Joy of Fearing God" by Jerry Bridges is the best book I have ever read on this subject. Can fear of the Lord really fill you with joy? Yes, says Bridges, as he shows you how it can open the door to a life overflowing with knowledge, wisdom, and delight. Focusing on the greatness of God, Bridges helps you to gain a deeper understanding of who God is---and to enjoy a genuine intimacy with him. 240 pages, softcover from Waterbrook.